Embroidered rectangular Volunteer for Civil Protection of the Sicily Region badge. 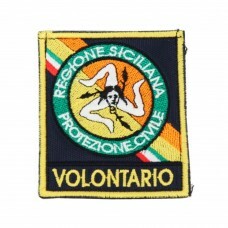 Rectangular patch, supplied with velcro to be attached to the garment in which to place the patch, with "Volontario Protezione Civile Regione Sicilia" embroidery. 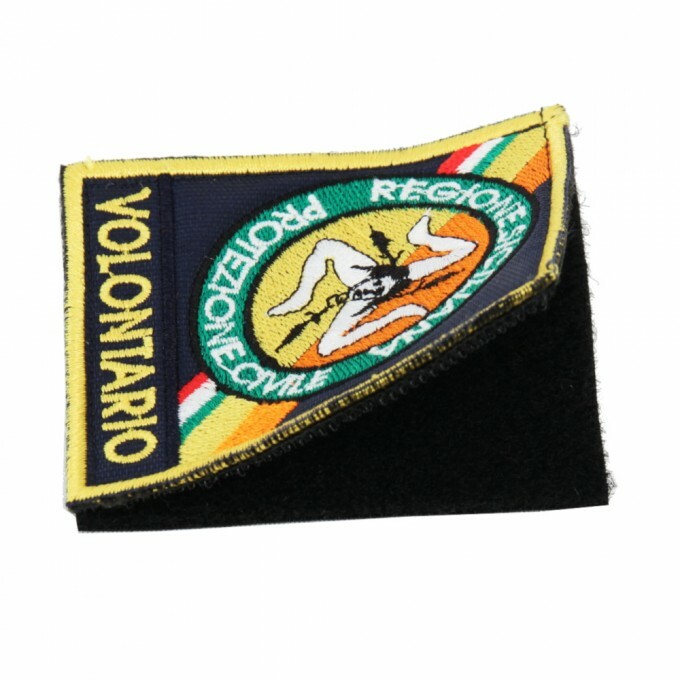 The velcro must be glued or sewn to the fabric destined to receive the badge. Size: 70 x 60 mm.